Webnames.ca is Canada's original domain registrar and a one-stop convenience for the online needs of individuals, small businesses, nonprofit organizations and corporations. Canadian owned and operated since 2000, Webnames.ca began as a spin-off from the Internet pioneers who founded the .CA country code in 1987. We have registered hundreds of thousands of domain names, host thousands of websites and manage domain portfolios for many of Canada's Fortune 500 through our Corporate Services division, including Yellow Pages Group, CanWest Global, ING, Canadian Tire and many others. Our mission is to connect clients with the tools they require to create, protect and promote their online presence. Our bilingual customer support team is the heart of our company and the foundation of our relationship with you. In addition to being the best and the brightest, our team is passionate about customer service. In an industry geared for self-serve, Webnames.ca takes a very different approach. Our telephone response times average under 30 seconds to talk to a live person. If you don't understand something, we will explain it. If there is a problem, we will resolve it. We strive to be more than a great service provider, but "an ally on the Web" to all our customers. Our difference is that we support our customers above and beyond their use of our products. We are committed to helping our customers achieve their online goals by providing information, recommendations and resources about all things Internet. Our high-touch service is complemented by advanced domain management tools and leading-edge systems. Every domain includes unlimited toll free technical support and free services such as domain forwarding, parking, email forwarding and metatag tools to drive traffic and help you get found online. We realize that excellence is not measured by business success alone. Webnames.ca strives to make a positive impact in the community by supporting local organizations and charitable initiatives. We mentor, sponsor and participate on the boards of numerous nonprofit technology, small business and entrepreneurial organizations. We are furthermore committed to reducing waste and energy consumption in our daily activities. So whether you are an individual registering your first domain name, a small business launching a new website or an international organization with thousands of domains to manage, you can trust Webnames.ca to do it right. Webnames.ca was created from the original .CA registry at the University of British Columbia in the fall of 2000 by four partners, John Demco, Cybele Negris, Stephen Smith and Matthew Lane. The most recognizable symbol of Canadian identity on the Internet, .CA was conceived in 1987 by John Demco, Computer Facilities Manager at the University of British Columbia who had the foresight to protect a uniquely Canadian presence on the World Wide Web. Back in the old days - that is, before 2000 - all .CA domains were personally administered and registered by John in his UBC office. .CA registrations were done manually and required documentation supporting each application and John’s office had faxes stacked to the ceiling. A small team was brought together to build automated systems to modernize processes, to help with growing the demand for .CAs and manage the transition of the Registry to the Canadian Internet Registration Authority (CIRA). Cybele Negris came on board to provide leadership and provided structure and systems in the area of operations. Stephen Smith handled business development and provided corporate leadership. Matthew Lane was contracted to develop the first generation online registration system that have since developed into Webnames.ca's leading-edge systems. The team grew quickly to 30 people in the matter of 4 months. Along with an amazing group of UBC students and staff hired to assist with .CA registrations and administration - this mix of talent and technology was the foundation of Canada’s most experienced domain registrar. With John's foresight, what began in a cramped UBC office has since evolved into the current .CA landscape where a significant majority of Canadians prefer .CA over .com for online banking (86% vs. 14%), online shopping (85% vs. 15%), and searching for news and current events (85% vs. 15%). Nearly 90% of Canadians see .CA as an important resource for Canadians. A UBC spin-off company, Webnames.ca was incorporated on September 23, 2000 and has come a long way to become the company you know today. Over the years, extensive energy has been put into developing the industry’s most powerful and user-friendly online systems, as well as hiring the best customer and technical support representatives available. We are 100 percent Canadian owned and operated and our motto and number one core value “Amaze Every Customer with Exceptional Service” - is also our guarantee. Webnames.ca and its team will strive to be the best domain name registrar and provider of Internet services. To accomplish our Vision, our mission is to connect clients with the tools they require to create, protect, build and promote their online presence. We will consistently earn the trust and exceed the expectations of our customers by offering the best customer support in the industry, by offering value through industry leading products and services, and highly reliable systems that offer powerful functionality to all clients. We emphasize the importance of integrity, community involvement and building a workplace which enriches the careers of our team while we ensure our profit and growth goals are met. Webnames.ca started as a spin-off of the original .CA registry in Canada. The vision from 1987 by John Demco was to secure an online identity for all Canadians. As an extension of this, Webnames.ca's purpose is now to be an "Ally on the Web" to help clients, everywhere, reach the full potential of their online presence. 1. Amaze every customer with exceptional service. 2. Always be improving (striving for excellence). 3. Make a positive difference. Webnames.ca is committed to our core values, ‘Amaze every customer with exceptional service’, ‘Always be improving’ and ‘Make a positive difference’. We are honoured to be recognized for our efforts with numerous awards and achievements. BBB's mission is to be the leader in advancing marketplace trust. BBB accomplishes this mission by creating a community of trustworthy businesses, setting standards for marketplace trust, encouraging and supporting best practices, celebrating marketplace role models and denouncing substandard marketplace behavior. Businesses that earn BBB Accreditation contractually agree and adhere to the organization's high standards of ethical business behavior. BBB is the preeminent resource to turn to for objective, unbiased information on businesses and charities. Webnames.ca maintains an A+ rating with the Better Business Bureau. HostingAdvice.com strives to be "The Authority on Web Hosting," providing comprehensive host reviews, how-to guides, and profiles on industry innovators. Backed by a team with more than 60 years of combined experience in the technology vertical, HostingAdvice conducts in-depth interviews with web leaders and the people behind companies that are disrupting their markets. Webnames.ca is proud to be a HostingAdvice expert-approved host, and you can read our story here. Ranking Canada’s Top Female Entrepreneurs on a composite score based on the size, growth rate and profitability of their businesses, the PROFIT W100 profiles the country’s most successful female business owners. Published in the November issue of PROFIT Magazine and Chatelaine magazines and online at www.PROFITguide.com and www.chatelaine.com, the W100 is Canada’s largest annual celebration of entrepreneurial achievement by women. Webnames.ca President, Cybele Negris and Webnames.ca have been named to the list for nine consecutive years, from 2004 through 2012. The Canada’s Most Powerful Woman: Top 100 Awards is Canada’s most recognizable Award for the country’s highest achieving female leaders in the private, public and not-for-profit sectors. Annually in December, in addition to a celebratory gala for the winners, WXN also hosts a leadership Summit and networking day that aims to inspire women in leadership roles and the next generation of female leaders. Webnames.ca President and Co-Founder Cybele Negris was honoured in 2011 and 2012. The Influential Women in Business Awards recognize successful women in business in British Columbia. The honourees are selected based on outstanding achievements in business, contribution to their industry, and influence in the business community. This award is run by Business in Vancouver. Webnames.ca President, Cybele Negris was honoured with this award in 2010. Each year, 40 top business leaders under the age of 40 are selected by an independent judging panel assembled by the newspaper. Nominees are judged on their professional accomplishments, professional recognition, and community and charitable involvement. Established fifteen years ago, this prestigious award Top 40 under 40 Award celebrates Vancouver men and women who have become outstanding leaders in their chosen fields before reaching 40 years of age. Webnames.ca CEO, Stephen Smith was chosen as one of the top young business talents in 2006. Webnames.ca President, Cybele Negris was chosen as one of the winners in 2003. Webnames.ca was a proud finalist of this award in 2005 in the category of Information Technology. The Entrepreneur Of The Year program was founded by Ernst & Young to celebrate great entrepreneurs and heighten awareness of the economic impact of entrepreneurial ventures. The program is nationally sponsored by Global Television Network, National Post, La Presse, RDI and Roynat Capital. To learn more about the Ernst & Young Entrepreneur of the Year awards, visit www.eoy.ca. The purpose of the Progressive Employers of Canada List is to encourage organizations to consider the value they offer employees in innovative ways and to share this information with a national network of savvy, educated, professional moms. This list is designed to enhance the dialogue between these employers and working moms and ultimately identify more supportive workplaces for women. Webnames.ca was recognized in 2009 & 2010. This book, New Pioneers: Stories of 100 BC Women Entrepreneurs is a celebration of the pioneering spirit of 100 contemporary women entrepreneurs from around the province. The book was compiled and published by the Women's Enterprise Centre where they feel it is not only important to recognize and celebrate our entrepreneurial roots, but also essential to record those accomplishments for the generations to come. Webnames.ca President, Cybele Negris was featured in this publication in 2008. The Award honours individuals whose activities and achievements contribute to the well-being and future of our community. The Award criteria requires that candidates inspire others and achieve outstanding success by: being a leader and role model; breaking new ground or old barriers; participating actively as a volunteer, guiding, supporting and encouraging the development of others; showing vision, creativity and initiative; making a sustained commitment and significant difference; and being respected by her community for her contributions. Webnames.ca President, Cybele Negris was honoured as a finalist in 2007. The Canadian New Media Awards are presented in partnership with the Department of Canadian Heritage, Telefilm Canada, CBC.ca and Delvinia. Produced by CANEMA, the Awards recognize and celebrate the accomplishments of individuals and companies in the Canadian new media industry. The Awards also help promote the new media sector and provide inspiration for those preparing to enter the industry. John Demco was recognized in 2006. The BC CCA Awards of excellence single out the leaders in the contact center industry in four categories, reflecting both service and sales orientation: Contact Centre of the Year, Community Spirit, Vendor of the Year, and Employee of the Year Awards. The Contact Centre Employee of the Year recognizes an employee who is working on the front lines or behind the scenes who goes the extra mile to ensure their company's customers get the best service possible. Webnames.ca employee, Shawn Yakobina was recognized for his efforts in 2006. The Alumni Honour Award recognizes the significant contributions made over a number of years by University of Alberta alumni in their local communities and beyond. Webnames.ca Co-Founder, John Demco was awarded in 2003. The Network Builder Award is presented annually to members of the community who volunteer their time and energy to help shape the direction, expansion and enhancement of British Columbia’s high-performance network backbone for research and education. Webnames.ca Co-Founder, John Demco was recognized in 2001. Canada's prestigious CANARIE IWAY Awards (IWAY is short for Information Highway) were developed by CANARIE Inc., Canada's leader in Internet technology innovation. The Awards recognize "frontier" technology and celebrate the exceptional achievements of visionaries in the field of advanced broadband innovation. Webnames.ca Co-Founder, John Demco was the recipient of the Community Service Award in 2001. Webnames.ca Co-Founder, John Demco was honoured by the University of British Columbia in 2008, for creating the .CA country code top-level domain for Canada and managing it on a volunteer basis for more than 10 years. In recognition of John's efforts, the Dept. of Computer Science at UBC named its undergraduate computing learning facility "The Demco Student Learning Centre". The name is a tribute to John's tremendous achievements, his foresight in preserving a uniquely Canadian identity on the World Wide Web and his positive impact on the reputation of UBC in this field. Cybele Negris is a founding partner and President and CEO of Webnames.ca. Cybele has diverse experience in both management and operations, including prior directorships and officer positions in several public and private companies. Before Webnames.ca, Cybele managed a start-up that grew to over 40 people and went through an IPO prior to her exit. She then ran her own management consultancy, working closely with crown corporations and private companies. She was also a partner in a multi-million dollar construction business. A recognized community and business leader, Cybele is active on a number of crown, corporate and community boards. Appointed to the Board of Directors of the Royal Canadian Mint, Cybele also serves on the BC Premier’s Technology Council and acts as Vice-Chair of the Small Business Roundtable of BC. 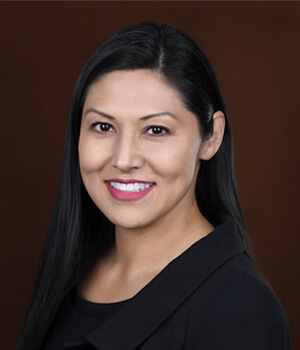 Cybele is also on the Chair’s Council of Science World, a member of Simon Fraser University’s Innovation Advisory Council and sits on the Technical Advisory Board for the Riverview Lands Redevelopment. She was formerly Vice-Chair of Small Business BC, and served on the Boards of the Forum for Women Entrepreneurs, Board of Governors of Capilano University, Capilano University Foundation, Vancouver Economic Development Commission and as President of Wired Women Vancouver. Business in Vancouver's Top 40 Under 40 (2003). Cybele writes a monthly column in Business in Vancouver and she's also one of the "expert" columnists for PROFITguide.com. Cybele was involved in drafting and is a signatory of the BC Small Business Accord with the BC Government which holds the government accountable for keeping initiatives and policies small business-friendly. She is deeply involved in mentorship programs having acted as an advisor in the establishment of MentorshipBC. She also mentors women through the Women’s Executive Network and the Forum for Women Entrepreneurs. Sharing her experience in entrepreneurship and tech leadership, Cybele speaks at over two dozen conferences and events each year. Notable events include TEDx, FP Reach CEO's Leveraging Media, WXN Top 100 Most Powerful Women Summit, Social Media Week, Startup Canada's Innovating Differently, Impact99, Technovation and many more. She has been featured in the book Canada 150 Women: Conversations with Leaders, Champions, and Luminaries, Chatelaine, the National Post, the Financial Post, Maclean's Magazine, BC Business, Business in Vancouver, Vancouver Sun, the Book of New Pioneers, as the cover story of WE Vancouver and more. John Demco conceived the .CA top-level domain and is a Director of Webnames.ca. Up until 2006, he was the manager of Computing Facilities at the Department of Computer Science at the University of British Columbia where John administered the .CA registry on a volunteer basis from 1987 to December 2000. John was also instrumental in setting up one of Canada's first Internet connections in 1988. Today, John is affectionately known as one of the godfathers of the Canadian Internet for his visionary work in creating and reserving a space for Canadian identity on the Internet. 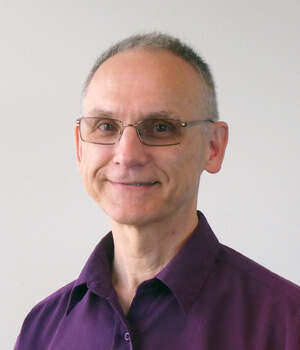 John has served on the Board of BCNET and is a founding member of the Canadian Internet Registration Authority (CIRA) Board of Directors, which he helped to establish. Leonard has been called “a controversial leader of the new world order”. He is a highly-respected entrepreneur, venture capitalist, bestselling author and a two-time Emmy nominated media visionary. He has raised millions of dollars for startup companies, been through one of the largest internet IPOs in history and has been involved in the building, financing and sale of multiple companies. In 2004, Leonard founded NowPublic.com, a pioneer in the field of citizen journalism. Time Magazine named the company one of the top 50 websites in the world. Now Public was inducted into the Newseum in Washington and was acquired by the Anschutz Corporation. Leonard currently sits as the President of the Clarity Digital Group responsible for overseeing one of the largest online news conglomerates in the world including Examiner.com and NowPublic, which between them, share over 20 million unique visitors a month and over 200,000 contributors. He is President of the Innovation and Digital Group for the Anschutz Company, one of the largest live sport and entertainment businesses on the planet, which owns assets such as the O2 Arena in London and the Staples Center in LA; sports teams like the Los Angeles Lakers, Los Angeles Galaxy, and the Los Angeles Kings; and is one of the premier concert promotion businesses in the world, seating hundreds of millions of people a year. Leonard is principal in several venture capital funds; works behind the scenes in the financing and creation of 20-30 companies a year; and is one of the proud owners of Coventry City Football Club in England. A highly sought-after speaker, Leonard has lectured at institutions such as Stanford, the G8 and the United Nations. His insight has been requested by companies such as The Financial Times, Warner Music, Dell, Visa and Pepsi, as well as, the governments of countries such as India, Israel, Ireland, Russia and South Africa. His work has been featured in such publications as Fortune, The Wall Street Journal, the BBC and The New York Times. Leonard is co-author of the bestselling books, Innovation Nation: Canadian Leadership from Jurassic Park to Java and Everything I Needed to Know About Business…I Learned from a Canadian. He holds an Honours Bachelor of Arts from Queens University, a law degree from Osgoode Hall and is a graduate of the Private Equity Program at the Harvard Business School. October 5, 2009Webnames.ca acquires award winning custom software development company RIPE B2B Inc. Thank you for your interest in pursuing a career with Webnames.ca. There are no positions currently available, but if you would like to submit a resume, please send it to careers@webnames.ca. Resumes will be kept on file for a 6 month period. No telephone inquiries please. Webnames.ca Inc. is one of Canada’s top domain name registrars and provider of web hosting and other Internet solutions. We are 100 per cent Canadian owned and are a spin-off from the Internet pioneers who founded and managed the .CA domain registry from 1987 to 2000. The multi-million dollar company thrives on an exciting, high-paced team environment. Our company core values are: 1. Amaze every customer with exceptional service; 2. Always be improving (striving for excellence) and 3. make a positive difference. We pride ourselves in our team atmosphere that fosters the personal and career growth of all of our staff. We value the input and feedback from our employees and our customers. Join our award-winning team today. Webnames.ca is looking for a driven, versatile and tactical Marketing Manager to lead our retail, B2C marketing efforts. While digital marketing is at the heart of this role, the right individual will also be an experienced strategist, with great communication and writing skills, as well as a drive for continuous improvement. In this role you will develop and lead the execution of a strategic marketing plan and digital marketing campaigns to drive customer acquisition and customer retention among our retail customer base, continually optimizing based on data-driven insights. You will also help Webnames to effectively tell its story across various web properties, bringing to life a vision for increasing brand awareness, connecting with target audiences, and converting new customers. While previous knowledge and/or experience with domain names, hosting, or SaS products is desirable, it’s not essential to be successful in this role – what’s more important is that you are entrepreneurial, collaborative, driven and versatile. Create B2C/retail-focused product content, including search-optimized landing page content, product messaging, ad copy, product literature, etc. Position is full-time based on a 40-hour work week with some flexibility for remote working. Excellent benefits package after a three-month probationary period. Benefits include Medical, Extended Health, Vision Care, Dental, Life Insurance, paid sick days, paid public holidays and more. Annual performance bonuses. Fitness and Education Credit. Please email careers@webnames.ca. No telephone enquiries please. We are hiring for two positions in regards to this role. Do you want to be part of the massive change that is happening online? Do you want to be rewarded for your strong sales drive? Then we want to speak to you. Webnames.ca Inc. is Canada’s original .CA registrar and leading provider of domain name extensions, web hosting and Internet services. Recognized as a pioneer of the Canadian Internet, we have continued to grow for the last 17 years. We have won numerous awards and accolades across the country. Our clients include some of the country’s largest brands and global Fortune 500 companies. You are a confident and polished sales professional with exceptional drive and need for achievement. You are a hunter, highly entrepreneurial, self-motivated and have a proven track record for delivering exponential growth in B2B sales. You believe in and live by the Company core values. You will be responsible for growing the Webnames corporate, reseller and volume accounts; calling on large prospective clients to generate new business. We attribute our continued growth and success to our effective services, powerful systems and our unsurpassed commitment to supporting and servicing our customers in a professional, ethical and straightforward manner. We pride ourselves in our team atmosphere that fosters the personal and career growth of all of our staff. We value the input and feedback from our employees and our customers. Join our award-winning team today. For more information on Webnames.ca, including our products, services and values, please visit webnames.ca. Base salary, plus commission. Excellent benefits package after a three-month probationary period. Please email your cover letter and resume to careers@webnames.ca. No telephone enquiries please.